I have not invested in an OPST Commando head, yet, because I shot my wad on a Carron competition rod and a fabulous Galeforce shooting head that is 72′ long and weighs in at over 1000 grains. These long lines are great fun for recreational casting and distance competitions. What is recreational casting? In my book, its a fancy term for “practice” and it’s what you do to prepare for casting competitions. Its challenging, fun, rewarding. And… it can be very discouraging, especially if your distance has hit a wall. Did I mention its really hard? Sometimes, to get away from the discouragement it’s wise to go fishing. Not casting fishing, but fishing fishing, the kind when your so focused on the actual quarry that the type of gear your using doesn’t matter as long as it allows you to cast without thinking, because wading becomes interesting in fast water, boulder patches, deep water, under trees and next to the brush, straddling a log the same way you might mount a mule. That’s when I crack out my HOME MADE COMMANDO heads I created when I dug into my collection of whats left of old lines (ok, new ones too) I chopped during my highly experimental phase of destroying expensive Spey lines. I’m not too picky. My overall objective is to fish without spending any more money I don’t have. I make short, fishable, non perfect shooting heads, that fit in the official Skagit, Scandi, Skandit and Scandahoovian Speed Queen, categories. Chop up an old Rio beer can Skagit, or a Windcutter, or in my case a perfectly good Airflo Rage. Airflo lines are easy to weld with heat shrink tube and a cigarette lighter. You need to know what your doing to weld Rio lines, or anything made out of pvc, and I don’t (know what I’m doing). A heat gun with a funnel and a heat sensor are used by experts to weld pvc. The above video produced by Jeff Michler of Skagitmaster is excellent and does not get enough love on the web. A better option for those of us with chronic line mutilation issues might be braided loops which can also be a pain because you need to shave down the chubby end of your Skagit head in order to get the braided loop over the end. So if you have the bucks, definitely buy the OPST Commando head. Another good option is to call Steve Godshall 541-840-2594 and have him custom cut you any head, with Commando-like properties or otherwise, tailor made for your needs. So for the moment, I find a hefty chunk, weigh it on my grain scale, or not, and see what happens. A floating tip to an old CND GPS 10/11 looks like it just might work pretty good for floating “work” (I’ve always wanted to say that). I’m talking little single handed fly rods here, and I want a head that is short, so I can strip and fish it into the tip, that will perform when I do my specialized double haul, single Spey Scandihoovian Seizure cast with wooly bugger in tow. Sometimes in toe. This way I can keep my mind focused on Steelhead, or that soggy Brown holed up under the ledge behind the submerged log and forget about chopping my brand new 72′ competition line into a bunch of itty-bitty home made Commando heads. Good read. I don’t mind doing a little line surgery myself. I tend to prefer Airflo lines but I don’t know how to weld the line and know that it won’t pull apart even with shrink tubing. 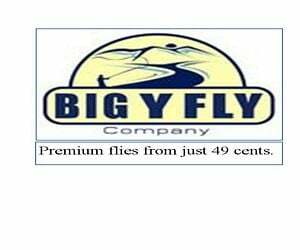 I am sharing your blog to Fly Fishing Central Oregon, on Facebook. Thank you Mark! I’m so happy you stopped by and took the time to comment. Its nice to meet another line chopper. Holler if you decide to get into line welding, I can steer you the right way, its really not too difficult. Thanks so much for sharing this on the Fly fishing Central Oregon page on Facebook. I will stop by and check out the page. Hi Bruce, thanks for stopping by. I have the perfect spot in mind for my big boy rod, I just need a 50′ belly to make it work, and you might have to come down and cast it for me because it is a looooong ways away. Also, I would like to do a feature story about you, so I will be in touch! Thanks Bruce! Looking forward to it. I will be in touch.